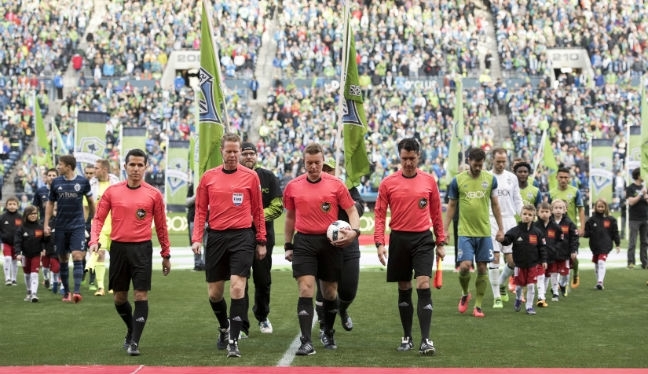 MLS Cup Playoffs: It’s time, and PRO’s officials are ready! The 2016 MLS Cup Playoffs are here! The 12 teams are ready to do battle for the top prize – the MLS Cup – and PRO’s roster of officials are preparing themselves for the end-of-season showdowns. 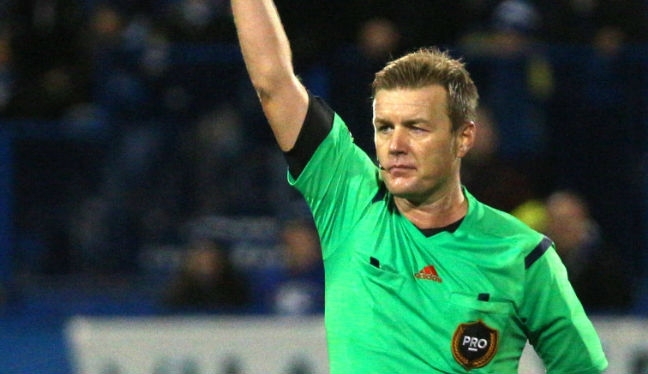 The first batch of assignments have been released, with the Knockout Round officials announced, and one man on the list who is new to the MLS Cup Playoffs is referee Alan Kelly. That’s not to say he doesn’t know what the Playoffs are about, though – far from it. The current MLS Referee of the Year has spent the last few years studying the Playoffs, and the culture that surrounds them. So, what is he expecting? “Intensity,” Kelly told proreferees.com ahead of his first Playoff assignment – LA Galaxy versus Real Salt Lake. “We as officials realize that this is what players, coaches and fans prepare for and having come through the regular season, the opportunity of winning a championship is within touching distance for all involved. “We are fully aware of what is at stake. It is up to us to facilitate the games that we are involved in, in a consistent manner. Hopefully that leads to exciting games and good football, but for sure, there will be a higher intensity. “As a referee, these are the games you want to be involved in at the ‘business end of the season’. But it’s also important to note that we are only as good as our last game. “What I mean by that is that my focus was on my Decision Day game and, until it ended and I was assigned to the Playoff game midweek a few hours later, I couldn’t look ahead and prepare. “Now that I have a Playoff game, firstly I feel honored to be assigned. Secondly, it gives me a chance to prepare and, of course, I’m really looking forward to it. “There have been some games for me this season that have had a ‘Playoff feel’ to them. They’ve been end-to-end, some really good technical play and fast-paced. “I believe every Playoff game is similar to a cup final. I have been privileged throughout my career to have been involved in a number of those type of games domestically, along with the intensity that comes with games in the UEFA Champions League and Europa League. When the experienced Kelly leads the teams out at StubHub Center, he will be taking to the field for his 24th MLS game of 2016. He will do so alongside Matthew Nelson (AR1), Brian Dunn (AR2) and Kevin Stott (4th), and believes he and his peers have all put in the hard work behind the scenes, readying themselves for these matches. “Funnily enough, we were discussing fitness whilst walking the field pre-game in Vancouver on Decision Day, and the physical effects the season can have on your body. “I feel really good, physically, right now and that is down in no small part to Matt Hawkey and his team in PRO’s Sports Science department. They’ve done a fantastic job with us as a group and they’ve managed me really well in terms of my own fitness, recovery and recuperation. “The season has gone really well so far from a personal point of view. I have been kept busy with games, training camps and travel. “As referees we strive for consistency in our games and performances and I believe I’ve done that more often than not throughout the year. “I’ve always been self-analytical when it comes to my refereeing and there have been one or two games that when I look back, I think I could have done some things differently. That all comes as part of what we do.